Together, they form a dynamic content marketing duo whose shared philosophy is simple: Talk to customers to figure out what they need to help them do their jobs better. Dan’s goal is to provide helpful content for customers and give HCSS a bigger footprint. In short, he wants to get the right content to the right person, which is a big task considering all of the people in the buying process. 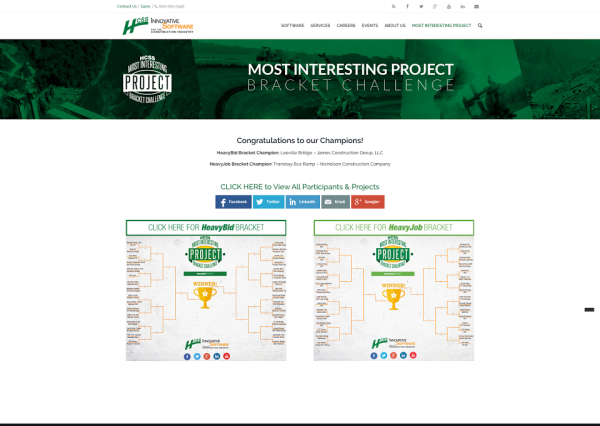 Dan and Skyler’s collaboration resulted in new and highly useful audience personas that have helped fuel HCSS’ customer-focused content initiatives, as well as their construction industry initiative called I Build America. This focus on both audience and a greater purpose is why we chose Dan and Skyler as our first Content Marketer of the Year finalist duo. Here are the lessons they’ve learned from the ground up. 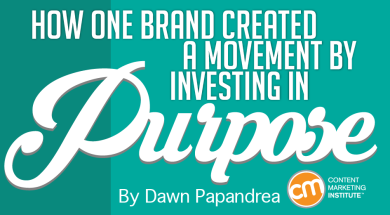 More importantly, it provided the lightbulb moment that made them realize that the pride their audience members had in their work should be the central focus of their marketing efforts. “That transformed the marketing department as well as the way the company views marketing,” says Skyler. 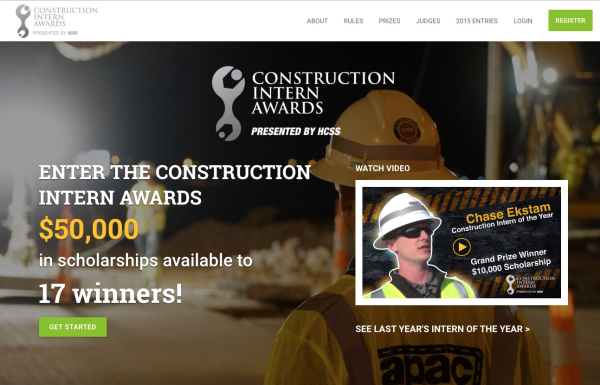 Building on this success, HCSS next launched a campaign to find the best interns in construction and make them heroes with the Construction Intern Awards. They encouraged interns to submit short essays and photos about their work, and then used this content to build a website and social media posts. The HCSS marketing team began using surveys, interviews, and subject-matter experts to nail down detailed descriptions of its target audiences, and build a persona content marketing model. In May 2015, HCSS piloted its persona program focusing on just one of its audience types — the safety director, for whom they created three highly targeted websites, 100 pieces of content, and 15 to 20 graphics. Over the course of two months, the team used its research and customers’ actual words and insights to develop videos; mid-level content, including white papers on how safety software could improve the company; and high-level content like huge infographics and a website around best safety practices. “Focusing on the customers and their day-to-day issues and making them the hero of the story, not our software, is a much better way to market than to sit in a room and talk about the features of our products,” says Dan. It also has led to more effective writing. Once the first persona was complete, they made the case for additional personas by using customer feedback, improved page views and downloads, and growing sales (for which Skyler says marketing was just one of several factors). HCSS now focuses on seven buyers personas. In turn, the company is using the personas elsewhere to better bundle its products for sales. Instead of just listing the products, the company offers a carefully selected suite of products that would appeal to a particular persona, such as an equipment director. 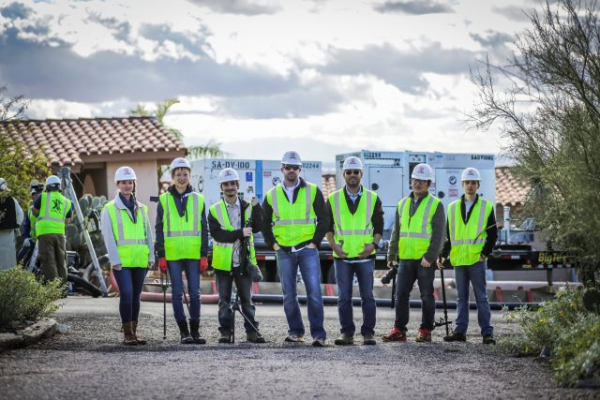 The knowledge gained from the persona project also helped bring to fruition CEO Mike Rydin’s long-time vision to create a movement to highlight the positive contributions the construction industry has made (read: not HCSS). “Our CEO walked down to our offices one day and started talking about how he wanted to showcase the construction industry to the public. He referred to it as I Build America. We bought the URL that day and ran with it,” Dan says. In addition to developing I Build America, the HCSS team recently launched its own digital marketing agency to help clients in the construction industry with videos, brochures, website development, SEO, social media, and more. 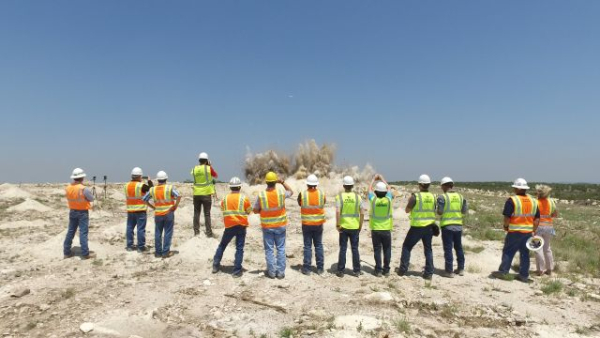 This is part of the marketing team on site in Tempe, Arizona, filming a customer. How do they get it all done? “Our team of 23 works faster than most marketing departments do,” says Dan. But he also attributes their productivity to the full buy-in and trust they get from the executive team, a willingness to work 15-hour days when necessary, as well as the talent of the interns they hire from a nearby college. “I’m constantly amazed at what we’re able to accomplish,” he says. Skyler agrees, noting that HCSS’ learning-by-doing culture helps them keep up the pace. “We don’t get caught up in the editing process or making the page perfect,” he says. “That’s how projects get delayed by weeks or months.” His approach is to push for approval to get out that first piece, and then let the analytics tell him where to go. “The customers will tell you. You just have to be agile enough to make adjustments and keep going,” he says. Being able to apply the persona success to other aspects of the company, including its latest endeavor of helping the recruiting team fill internal positions, has been especially rewarding for Dan. For instance, everyone in product marketing is a former journalist. “Marketing can change a company and lead the way,” he says. “It’s helped open people up to ideas, and it can affect the quality and outcome of the work they produce,” he says. 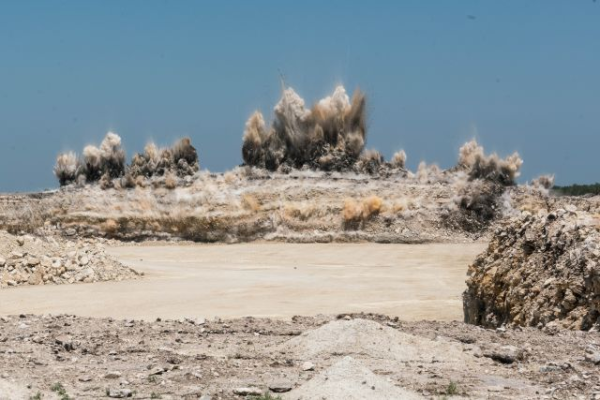 One shoot in which they were filming in a quarry with explosions being set off got the company buzzing. “When we got back, they were raving about how cool it was being out there with our customers,” says Skyler. A few pictures from the shoot are below. Ultimately, Dan says that their rapid expansion and industry recognition have been the result of a lot of moving parts working well together. “There are a lot of good people behind HCSS and I Build America,” he says. And the building has only just begun.